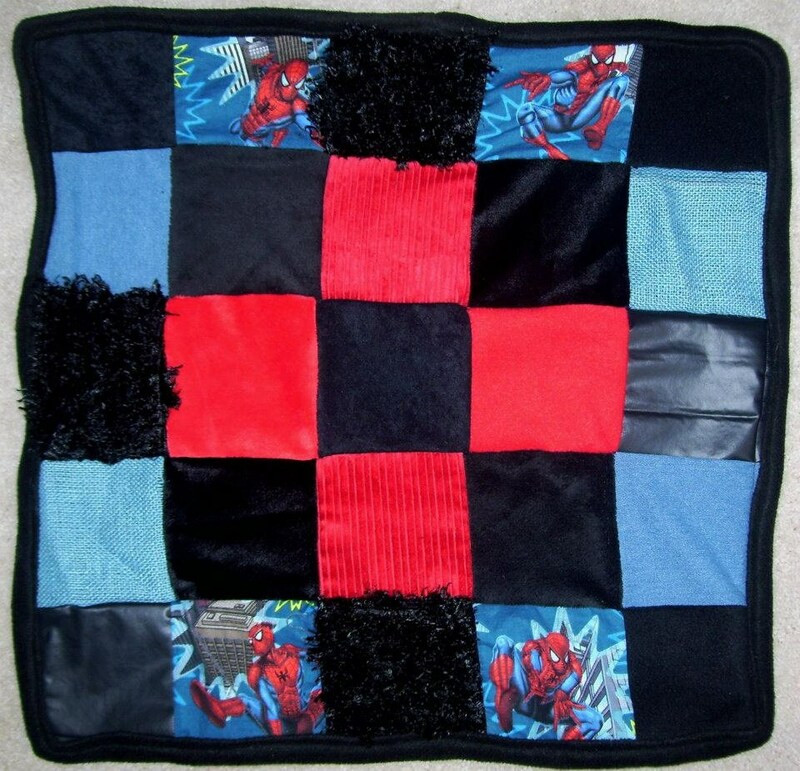 This blanket is great for children with Sensory Issues. I made one for my son who is a Sensory Avoider, he does not like certain fabrics because of either the look or the texture of the fabric. His blanket is made with many soft fabrics with colors that he likes, I added red which is one color he would normally stay away from. 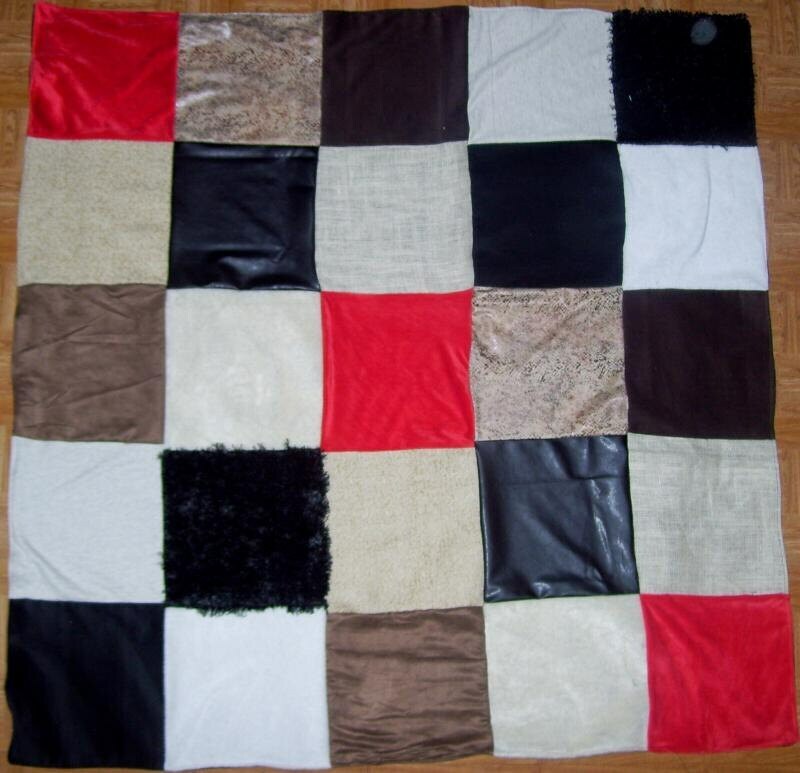 I also added rough fabrics like stiff fur, burlap, faux leather & chenille upholstery fabric. With this blanket he can clam himself with the soft fabrics & he can learn to tolerate the rough fabrics. These blankets are special order as they will be made to your child's like & dislikes. I can make the blanket to help with visual sensory or texture sensory that will help your child overcome some Sensory Issues. Since this blanket needs to be custom made to your child's needs, please message me your child's likes & dislikes of prints, colors & textures. I will create the plan for the blanket and go over it with you for your approval before stating. Blanket may take up to 2 weeks to make depending prior orders. *Pictures are examples of other blankets that I have made, they are not the blanket you will be receiving.